The major airport is: Baltimore-Washington International Thurgood Marshall Airport. 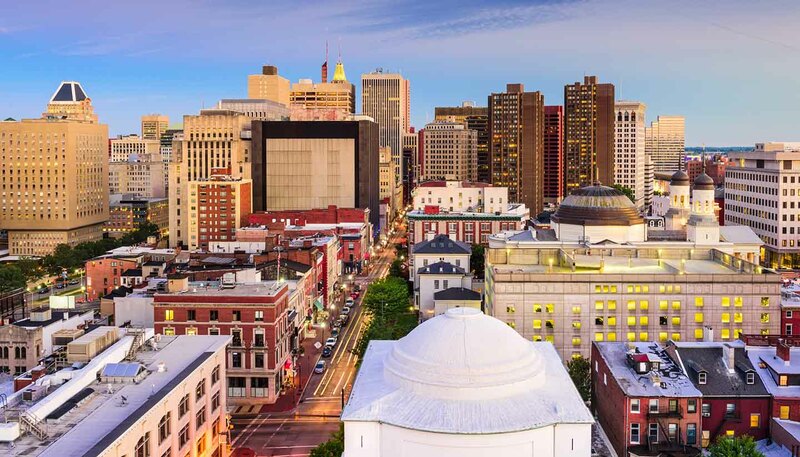 Baltimore-Washington International Thurgood Marshall Airport is located 13km (8 miles) south of Baltimore and 51km (32 miles) northeast of Washington, D.C.
From London to Baltimore is 7 hours 30 minutes, and from New York is 1 hour 15 minutes. Baltimore is on the main East Coast Amtrak line (tel: 1 800 872 7245, in the USA only; website: www.amtrak.com) and consequently receives frequent direct services from as far afield as New Orleans and Miami. There are also frequent shuttles to Washington, DC, New York and Boston. For approximate journey times on this line, see the New York section. Trains arrive at Pennsylvania Station, 1525 North Charles Street.